Nic Harrison works in the Leach Tradition and the distinctive forms show influences from his training at The Leach Pottery in St Ives, in the late 1970’s. 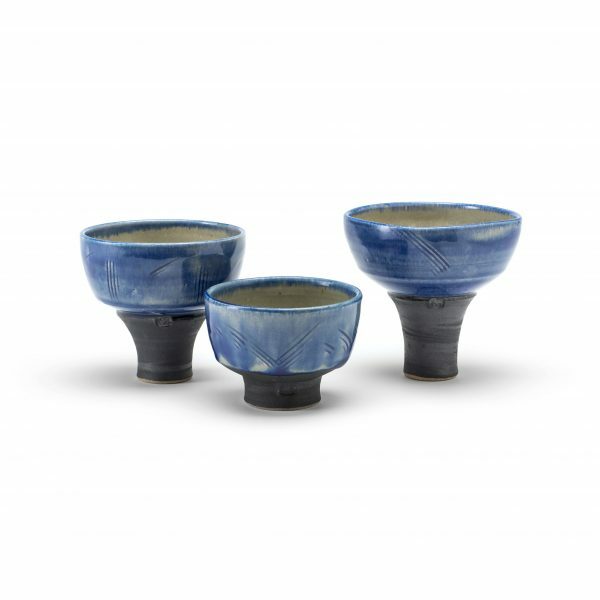 The high fired local, stoneware clays are enriched by the use of iron glazes, Tenmoku and Celadon. The wheel thrown, strong, gentle forms are causing a great deal of interest among those who collect his work. The ceramics, along with Jackie Harrison’s beautiful, individually handwoven wall hangings, rugs and tapestries, are displayed in the showroom which overlooks the sea towards the Lizard Peninsula in South West Cornwall. The stunning views of the rugged coastline and mining landscape provide constant inspiration for new collections of work.